Wendy grew up in Lincoln, where her parents still live. 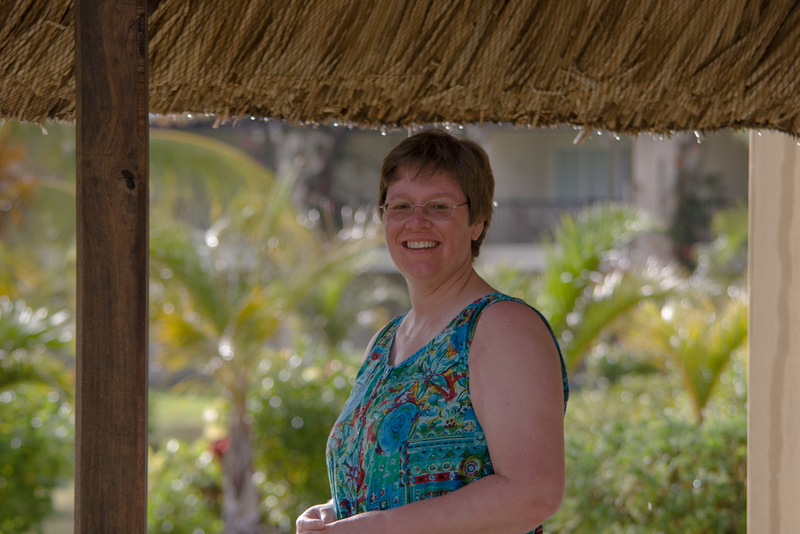 Wendy had just started working as a physiotherapist when we met in Ipswich. We have now been married nearly thirty years. Almost all apart from The Grand Tour, too many to list here. 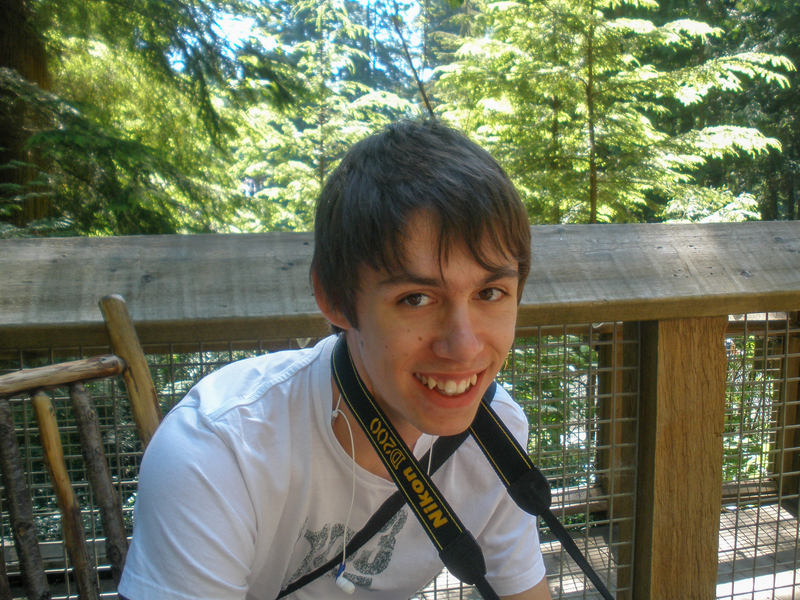 David at one of the tree walks at Capilano Suspension Bridge, Vancouver, Canada. He was born in Epsom, Surrey, England. Almost all from his birth, too many to list here. 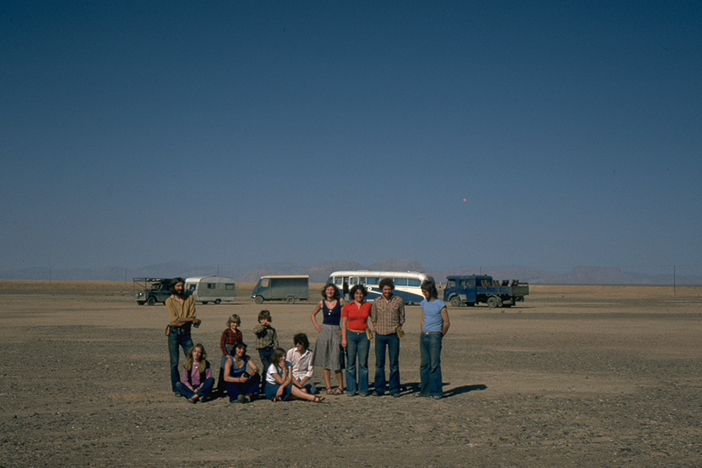 Part of a group photo in the Desert of Death, in Afghanistan, courtesy of shutter delay. See my 'About me' for my bio and a lot more. Pete reading on the terrace of a hotel in Herat, Afghanistan. Pete and I went to the same collage together, on the same course. We were both allocated to a house in Rollswood Road, Old Welwyn, near Welwyn Garden City with a number of other students, and this is where we first met. One of the others was Ivan Hurkett. He was the first Ivan I had ever met, and the first three letters of the surname matched as well. But I digress. Pete and I were studying for a Degree in Civil Engineering. As part of the experience we worked on a construction site for the summer holiday. By then we had moved out of the digs found by the collage and were living in separate parts of Hatfield. We worked for the same company, Percy Bilton Ltd, on the same site. The works involved building a new duel carriageway between Hertford town centre and the new A10, which was being built at the same time. Pete was brought up in High Wycombe and, at the time, his parents still lived on the outskirts in a suburb called Terriers. I think his dad was a teacher / headmaster. When he retired from school they moved to Norfolk. Pete has a brother and sister. His brother was friends with one of The Wombles (re Wombles of Wimbledon), and Pete and I met him (the Womble, sorry I can't remember his name) once at his west London home, as I recall. Pete's sister got married and moved to the States. I visited Pete's sister in Ohio on my first trip to the USA. Pete and I became good friends and continued to work together, frequently travelling to work sharing transport, which could have been his motorbike, the works Transit minibus, or a white Mini van with Percy Bilton all over the sides. ( A kind of early company car, given to us to share ). Occasionally we would use my Austin Champ, but that was very heavy on fuel. This was in part during the 1973 oil crisis. 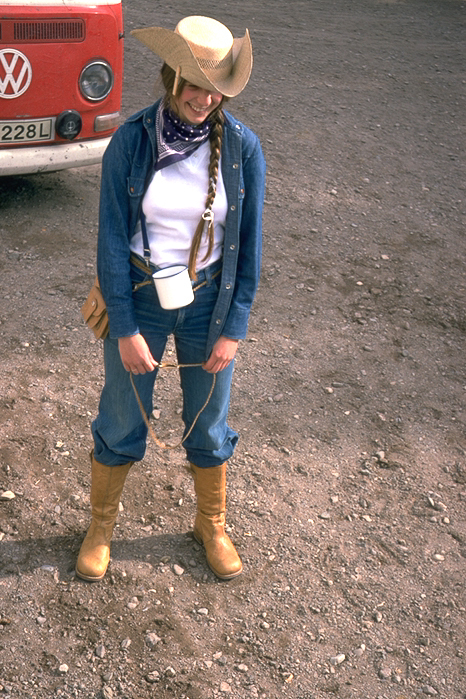 We also very rairly used the company Land Rover. Pete was a very keen motorbike enthusiast. He and a friend, Tim, both bought Kawasaki 750 H2A as soon as they came out. They arrived, bright and shiny, serial numbers 00004 and 00005. They were the fastest production bikes at the time. For our second trip to Asia, Pete and I advertised in 'Time Out' for companions to travel with us on our second trip to Asia. We did not get many replies. We wrote to those that did reply (some or all, I can't remember) and all traveled from our various homes to a McDonald's. At this point I should note that McDonald's first restaurant in the UK was only a couple of years earlier, in October 1974. We met in the 108-110 Kensington High Street branch, which was our local. And yes we did travel over 20 miles for a late night burger, after the pubs had closed, quite often. How times have changed. The team was chosen, coincidently all were girls. Can't imagine why. Annie, Chris, and Celia showed up at McDonald's and they all turned up on the day of departure. Result! Chris wrapped up warm, with snow capped mountains of ___ in the distance. Chris Hackett grew up in Chichester, West Sussex, on the South Coast of England. Chris was a PE teacher at at school in Littlehampton, about 15 miles away. Chris was an ardent badminton and hockey player. I would very occasionally join Chris and her friends for a game of badminton. I looked to be brilliant at the game. But it was all delusion. They were so good that they managed to aim it at my racket and I would barely move a muscle. So many returns, without breaking into a sweat. The fact is I am now, and was then, useless at ball / racket games. The badminton was just between friends, however, the hockey was altogether more serious. Chris was a member of a team. They played hard, and partied with equal vigor. On one occasion I went with the team to Holland, for an international tournament. Not to play you understand, just to make up the numbers, and carry the beers. It was fun just being the mascot for the weekend. 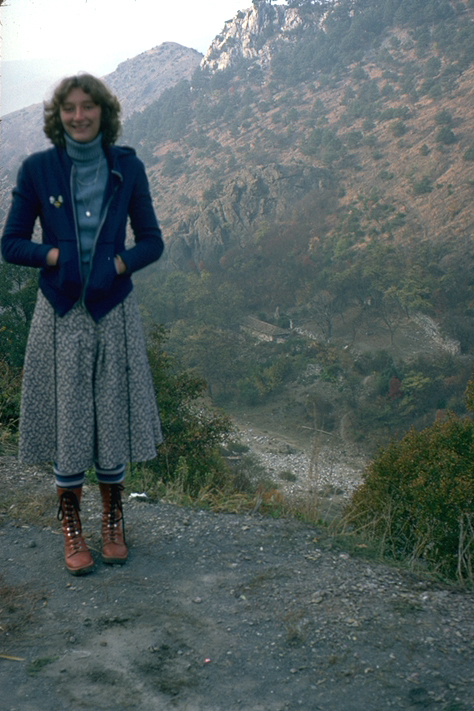 Annie above a gorge in Yugoslavia. Annie was also a teacher, but of English. Unlike the rest of us, Annie was a northerner, although she did not have the accent to go with it. There are certain questions that we did not ask and which strangely did not come up even at McDonalds, which was fairly strictly beef burgers in the day. I had two Big Macs. Then I could do that with out any adverse consequences. Not so today. 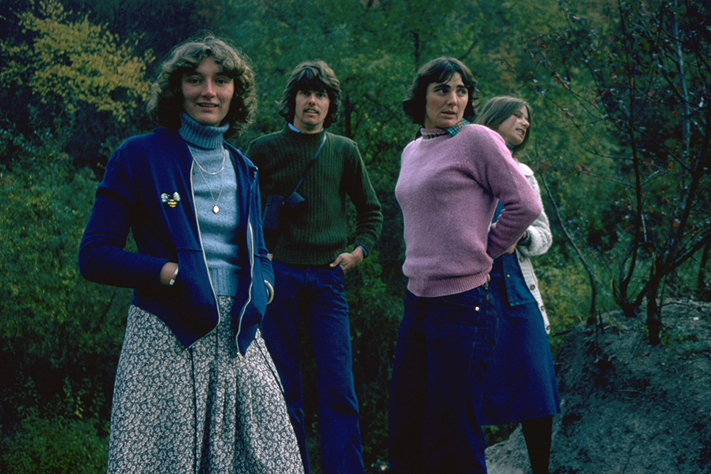 The thing is both Annie and Celia were vegetarians. Celia's list of banded products was longer though . This does present some problems in remote areas which just don't understand the concept, and the non English speaking way of ordering food in a restaurant is either to point at somebody else's food or go into the kitchen and point at something in a big pot on the stove. Would knowing in advance have made any difference in our choices? Did we regret our choice because they were vegetarian? No, on both counts, but it did give us some interesting episodes. Some of the more publishable one's are included in the stories. I am sure that there is more to put into Annie's bio. I expect I will remember more as I write the stories of the trip. 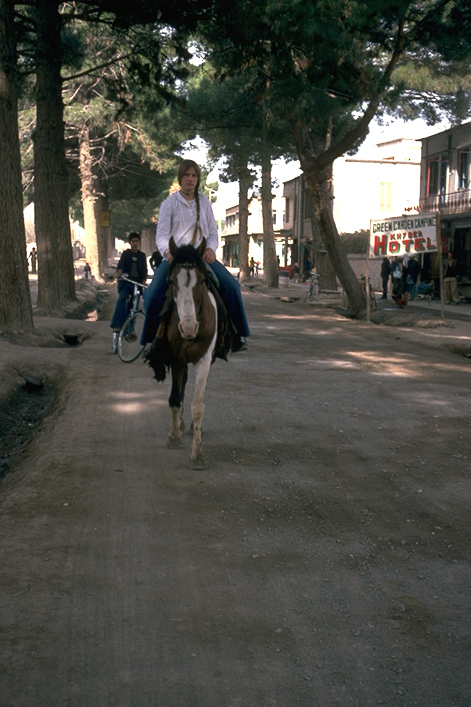 Celia hired a horse and rode through the streets of Herat. Celia was based in West London. I have a vague recollection of going to her flat once but can't at the moment recall why. 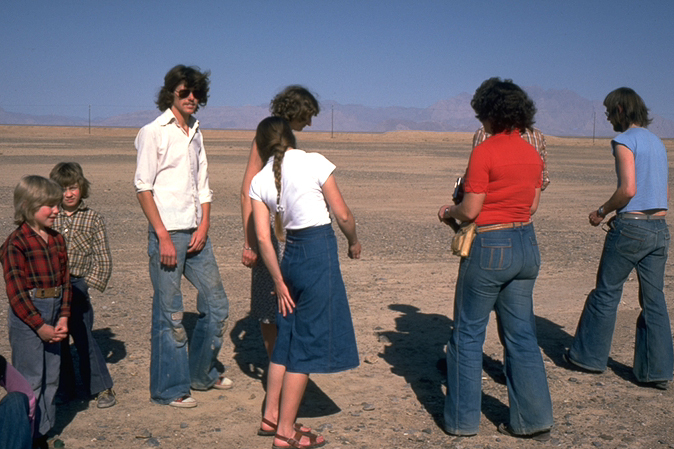 In Iran we had a water pump failure on the Ford. We limped to Mashad and stayed there a while whilst a new spindle was made. 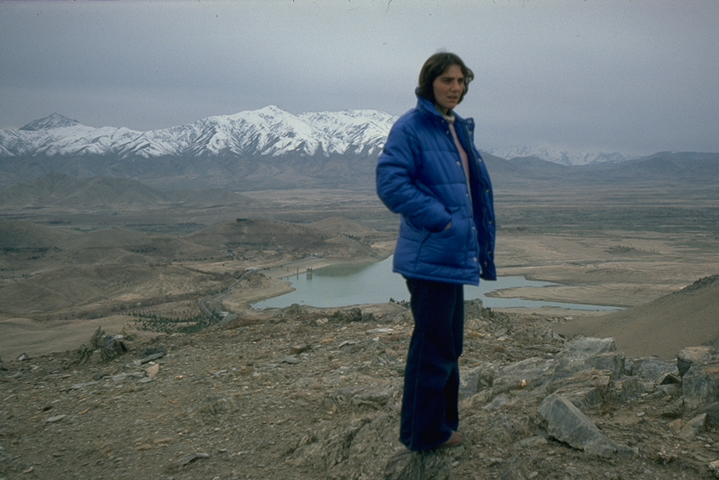 Then we moved on to Afghanistan. We had slowed down and relaxed a bit. So we stayed in Herat, at a small hotel. We met up with some fellow travellers. Two guys in a VW van, a family with two kids in a converted van, and a couple in a Landrover and caravan. All apart from the VW formed a convoy. Together we crossed the Desert of Death. Tim and Isobel, making tea on the Hotel terrace. About people I have travelled with or met on the way. It will be a fairly fluid page with additions as stories develop within other parts of the site. I will create a short bio of the person, as they were at the time, generally with a photo. I don't intent to update the bio to reflect their current position, irrespective of whether I have kept in touch with them or not. How to order the list is difficult as I don't know at the start how many people I will eventually add. I will discount alphabetical (either forename or surname) an just group the people into categories, generally to do with the circumstances of how I met them. Currently it is not intended to be an index of all of the people mentioned.